Last Updated: 01 Mar 2014. By Kumar / In Salem, Tamil Nadu.. In the modern life TV is very advantage for us. It is a mass media. Next to radio. It reaches 79 percent of Indian population through 534 transmitters. It relays news, current affairs, educational programms, dramas, films, sports, cartoons etc. Thanks to communication satellite, the world has shrunk still further. BBC, Star Plus and Discovery channels telecast wonderful documentaries enriching the knowledge of the viewers on nature and scientific developments. MTV provides music round the clock. ESPN gives sports news concentrating on major world sports. Cartoon Network, Nick POGO etc., delight children. But T.V. has its disadvantages was well. It makes the children neglect their study and sit down glued to the T.V. Many private cable operators, screen movies almost everyday. T.V. does more harm than good to the present younger generation. It is rightly called Idiot Box. If parents do not control their wards, their role models could very well be attractive villains and corrupt politicians and criminals in real life too. 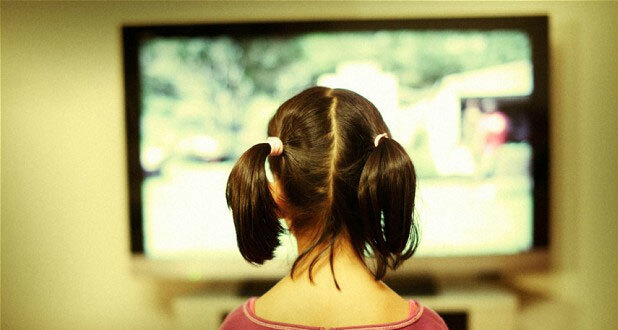 By Rahul / In Banglore, Karnataka..
Television can said to be an essential luxury of modern life. It enables us to see and here events live even though they may be happening far away. The visual impact is so strong that what one sees is imprinted on one’s memory, and therefore its educative value cannot be underestimated. Consequently, the common man, who first sees to his basic, needs next looks forward to owning a television set. The television is yet another scientific marvel of our modern age. It works in much the same way as the radio. It is an improvement on the radio because here bothe the audio and visual are transmitted. This makes the event more real. The television is an important medium for transmitting the daily news of national and international news. The election scene, a holocaust, agitations and riots, political events etc can be seen and one’s understanding of these events is increased. Again, sports events too are seen live. With all these advantages, the television also has its disadvantages. It has severly curtailed the outdoor activities of young and old alike. Again, people read musch less now and prefer watching TV instead of exercising the mind by reading stimulation books. Further, socialization has also been affected, for people sit inside the house watchin TV instead of going out to meet people and sicuss and exchange ideas.